238 the grill, as pronounced “two, three, eight”, will bring it’s customers a moment of happiness with excellent glasses of wine combined with European style bites. Head Chef Patrick Verhoeven is serving grill dishes and created a selection of several main courses which you can share with your dinner companions. Most dishes are available in small and large size, which makes sure you can taste several of them in one sitting. Informal, intimate and affordable, 238 the grill is offering grill dishes at prices which suit the current times. Head Chef Patrick Verhoeven aims to give you a very personal experience of the taste of modern French cuisine with other European influences. Using only fresh seasonal and ecological ingredients, the flavours from Europe are combined to create a fusion of tastes and textures. Within this fusion Verhoeven pays homage to the country where he was raised by giving the Dutch cuisine a special role . “In my kitchen I use the best ingredients from several cuisines, to create mouth watering bites.” says Patrick Verhoeven. The owners are importing fresh fish and seafood from the Netherlands by their selves; mussels, shrimp, soles, the most fresh you can get them in Hong Kong! There are daily specials pending on what products are in season and fresh that day. Patrick Verhoeven prefers to work with ecological products. 238 is passionate about wine and serves many beautiful wines by the glass, while keeping their prices really accessible. In 238 the grill you’re in charge, you can order only a few bites or enjoy the daily specials and have a great dinner with friends or family. You’re welcome in 238 the grill every day from 12:00 until late. In the morning you can start your day with a nice cup of coffee, but also for a fresh ecological lunch 238 the grill is the perfect spot. In the afternoon you can relax with a nice beer or glass of wine combined with some tasty bites, or you can try 238’s specially selected teas with sweets. In the evening you could visit 238 for a full 8 course menu or you can just come by for a few snacks. 238 doors are open for you during the whole day! Born and raised in the Southern part of the Netherlands in a small village called Vierlingsbeek, Head Chef and owner Patrick Verhoeven started cooking from the age of fifteen. His first professional experience was at the Michelin Starred restaurant called 'Onder de Boompjes'. After that, he worked for several renowned and Michelin Starred restaurants such as 'de Swaen' in Oisterwijck (2 Michelin star) and at the five star hotel Pulitzer (part of Starwood Hotels & Resorts) in Amsterdam. At the early age of 23 he started his own restaurant called 'De Vier Linden'. After several great years there he moved back to Amsterdam, the capital city of the Netherlands, where he founded 'Magnolia' together with his wife Anne Engels. Now 238 is their latest and most exciting endeavor. Managing director Anne Engels was born in the south of the Netherlands as well. She started working in the restaurant business at the age of fifteen. In 2008 she graduated from the Radboud University of Nijmegen and received her Master of Science degree. Once she graduated from the university, she and her husband Patrick Verhoeven started their own restaurant in Amsterdam, Magnolia. They loved every minute of it. After several successful years, they sold their restaurants in the Netherlands and took some time off to relax. They traveled to lots of places in the world but soon enough, they started missing the excitement of owning a restaurant. So, they looked for the right spot to start all over again. They chose Hong Kong because they felt it is a warm-hearted, comfortable city, which is pleasantly influenced by both Eastern and Western culture. They immediately felt that Hong Kong could very well be part of their exciting new future. Your private dinner in our intimate restaurant with a minimum of 16 guests. Your private diner at our catering location with beautiful view on the harbour. Your private dinner/party at your home or at your office. During the year, 238 the grill organizes several special events to treat their guest with nice bites and traditional products from Europe. When the asparagus season starts in the Netherlands, 238 will invite Hong Kong to taste the mouth-watering Dutch white asparagus. From the moment he started cooking, this products has always been a favorite in Patrick Verhoeven’s kitchen. 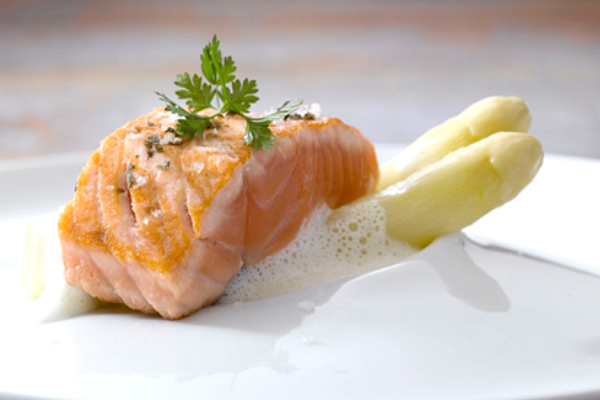 You can’t resist his creamy asparagus soup or his asparagus salad with smoked salmon. Another special event organized around a Dutch product is the arrival of the new Dutch herring. The Netherlands is well known for this amazing and healthy fish! Other periods that you can’t skip are the lobster week and the special black truffle week. During public holidays such as Christmas and New Year’s eve, 238 offers special menu’s that you can join with all your family or friends.